developed gold gears, not worse than other two brands. Three watch brands created new possibilities in the atomic domain. 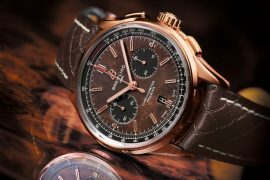 Silicon gears aim to improve the performance of Breitling B01 self-winding mechanical chronograph movement, which would later became Breitling Caliber B01 Chronoworks®. 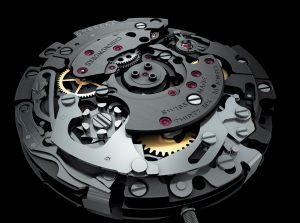 In fact, a watch movement is in stopped state in 95% of the time, but it loses the energy every time when we restart it. 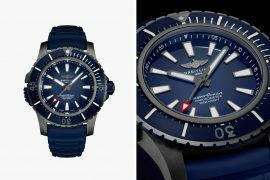 In order to avoid lower the loss, Breitling adopted silicon to produce three of the most important wheels: center wheel, third wheel and fourth wheel since silion is only half as weighty as ordinary material. 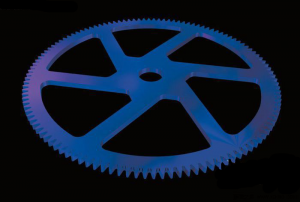 These gears are made by DRIE (deep reaction ion etching) process, which makes the whole structure more stable. Most of energy losses occurs in motion of the escapement system, so escape system is another part need to be improved. Silicon lever and escape wheel can reduce the weight of Swiss lever escapement and the inertia in operation effectively. Optimized escape wheel makes the effective utilization rate of barrel kinetic energy increase by 42%. Silicon gears supplied by Siga-Tech Company was connected to untreated steel axle by Breitling self-developed package technique. The combination of steel and silicon means teeth must be shaped precisely in case hard silicon stab into the metal. The application of silicon gears created an industry precedent. Silicon gears and other four innovations (ceramic baseplate and bridges, silicon escape system, variable-inertia balance wheel and seconds pinion with elastic toothing) make power reserve increase by 45%, from 70 hours to 100 hours. 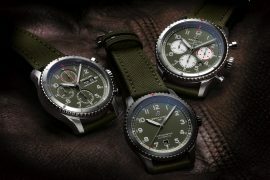 Breitling Caliber B01 Chronoworks® movement was passed successfully by Swiss Official Chronometer Control. 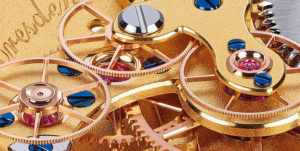 Patek Philippe, Kari Voutilainen and De Bethune have used gold gears in specific movements. Many watch brands laid gold gears aside since the force of machine operation would cause bending deformation of gold after gold is in laser hardened process. 24 K gold gears are made with UV LIGA developed by Mimo-Tec Company. 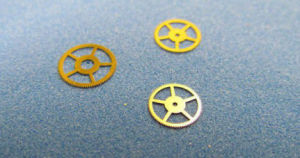 Gold gears (Vickers hardness: 260) is better resistance than brass gears (Vickers hardness: 185), helping improve the performance of the movement. For Piaget, The place of innovation is that Piaget Calibre 700P (Vickers hardness: 220) with pure gold gears and quartz thruster. 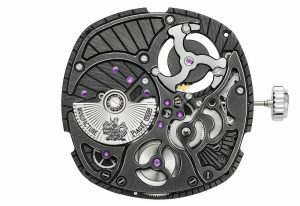 Piaget Emperador Coussin XL 700P watch launched at Basel world 2016 Fair. 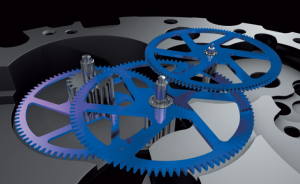 In top watchmaking, small machinery parts also have innovation needs and space. 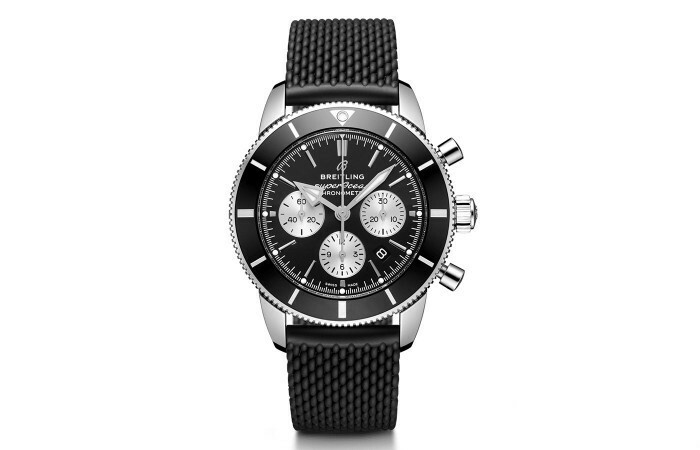 Watch brands improve constantly the performance of watches and movements to prove themselves and create more wonders.